April 18, 2018, ©. Leeham News: Indigo started its operation 2006, offering low-cost air travel to the masses in India. The year after, Air India and Indian Airlines, the state-owned flag International and Domestic carrier, merged to form India’s largest airline at the time, Air India. By the end of 2010, Indigo passed Air India and by 2013 Jet Airways for domestic passenger market share, a position it has kept since. Indigo has had a fast growth, even for an LCC. From the start in 2006, it has grown to India’s largest airline, with a 40% market share for domestic traffic by the spring 2018, Figure 1. Figure 1. 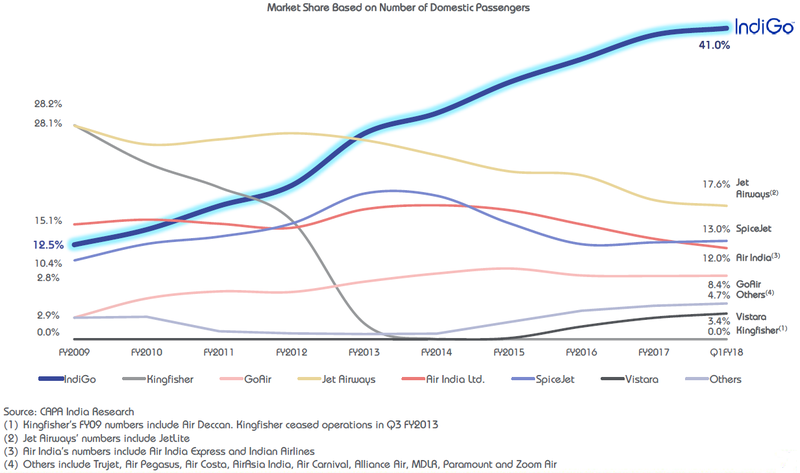 Indian airline domestic market share development since 2009. Source: Indigo August 2017. Indigo focuses on the base product and to make its most important parts solid, a reliable service with departure and arrival on time. 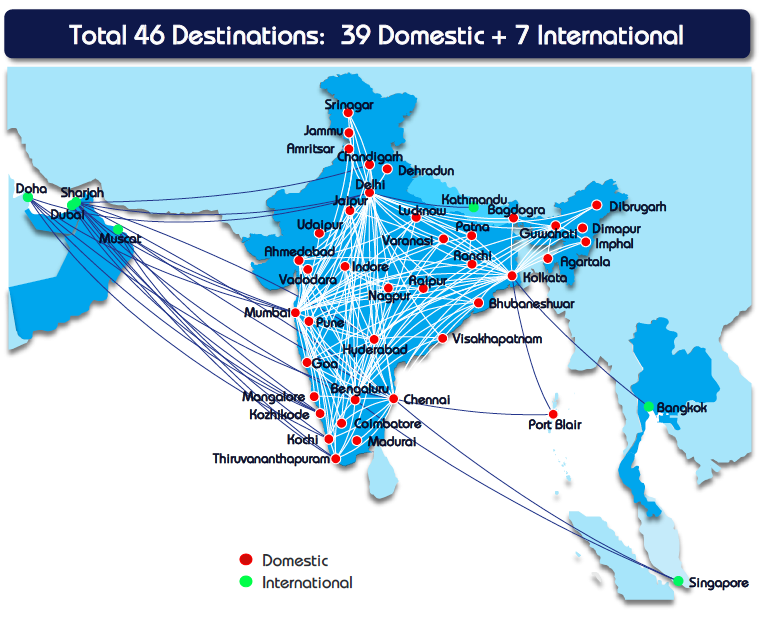 The airline presently flies to 39 domestic destinations and seven international destinations which are close to India, Figure 2. Figure 2. Indigo’s network August 2017. Source: Indigo. After having built a reputation for being on on-schedule and on-time, Indigo is no longer selling the cheapest flights. They are priced the same as the main competitors, Jet Airways and SpiceJet, but not lower. The airline is known for being profitable since the start, an abnormal state in the Indian market, Figure 3. We will cover the special case of Air India in a future article. Figure 3. Overview of profitability of Indian airlines. Source: Indigo. A key part of the profitability has been operating costs which have been lower than the costs of the direct competitors, Figure 4. Figure 4. 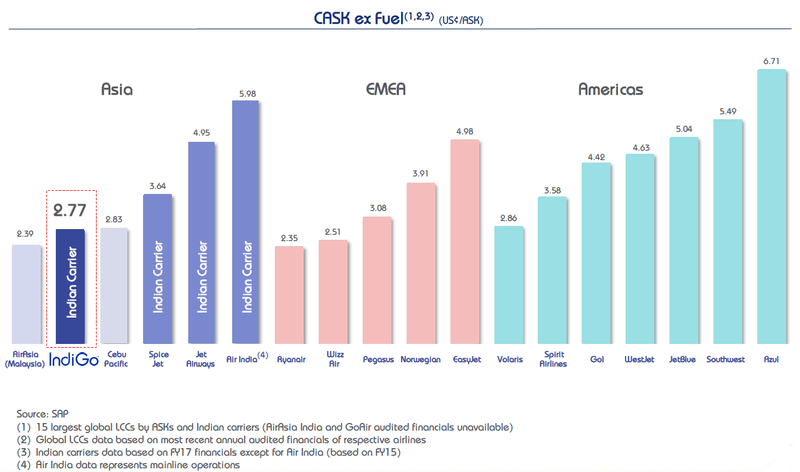 Operating costs excluding fuel costs for Indian carriers and International LCCs. Source: Indigo. A key part of the low costs has been a standardized fleet. 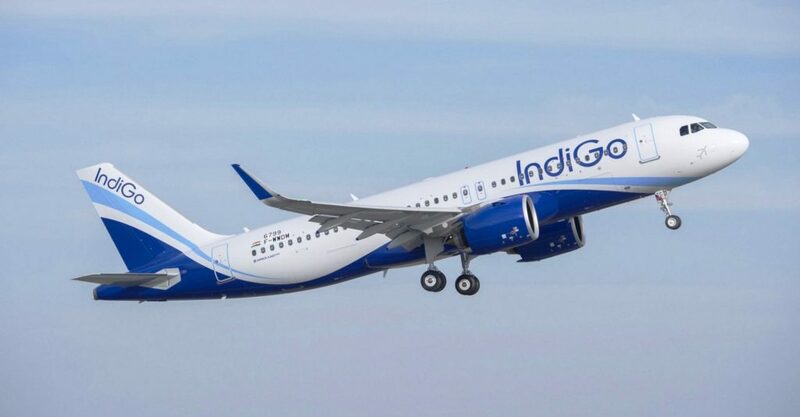 Indigo has until last year had a single aircraft type, A320 (Figure 5). In 2017, the Turboprop ATR-72-600 was added for operations to smaller cities. Figure 5. Fleet timeline for Indigo. 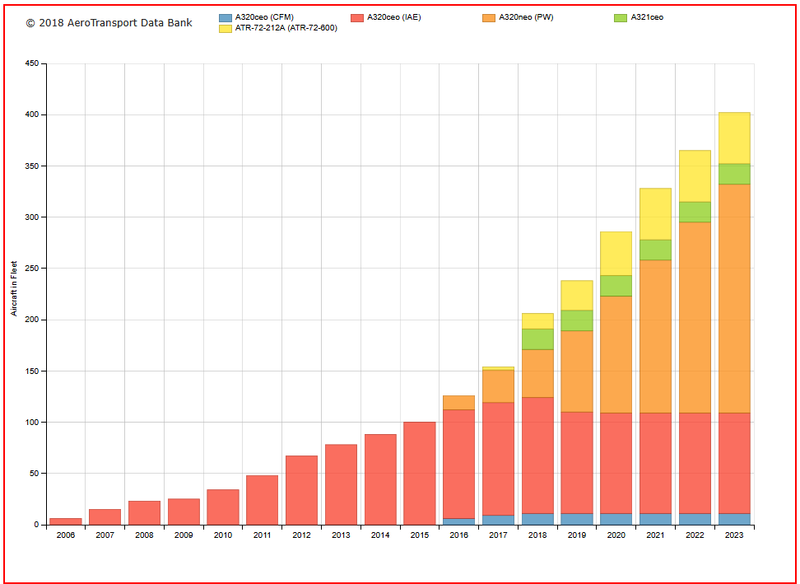 Source: ATDB. An interactive timeline is here. Move the mouse over the bars to see the types and how many. The airline has introduced Pratt & Whitney GTF based A320neos since 2016. The fleet has suffered from all the common GTF problems, with 11 Indigo aircraft grounded during February-March 2018. Of the 14 Grounded aircraft (11 Indigo, three GoAir), all but three should be flying again after engine changes, as of last week. I remember everyone putting big question marks when Indigo placed very large orders a decade ago. They obviously are doing something right in a highly competitive, bureaucratic environment. Good for them. Next year they’ll apparently try out A321NEO’s, see if that works for them. And you were and are correct, its a well run operation for anywhere and for India a smashingly well run one. Kudos for a good call. I dissed it, I had not done due diligence on their operation, assumed and was totally wrong. Always good to see a success story. Agreed, all to rare these days. And doing so in an extremely difficult environment . In regards to the airports Indigo flies from/to. Ryanair flies mostly from secondary airports. For example Eindhoven vs using Amsterdam, or Charleroi which they market as Brussels, or Beauvais and Vatry which they market as Paris. EasyJet flies mostly from primary airports and many of it’s routes go directly head to head with traditional airlines. Is Indigo more like Ryanair or more like EasyJet? Well, you probably don’t have.the built up network of major city secondary airports in India, do you? So my “vote” would be EasyJet! Note the RR engines! Thought it was an odd choice at the time. Also IAG has invested in Norwegian, maybe add to the portfolio.